In the plethora of family dramas coming out of Japan, Miwa Nishikawa is paving her way to the top, film by film, in a genre where Hirokazu Koreeda seems to have established himself as the king. "The Long Excuse" is a testament to the fact. Sachio Kinugasa is a formerly successful writer who currently makes his living by appearing on talk shows. He is married to a hairstylist, Natsuko, but constantly ignores her while he is having an affair with his editor. His life turns upside down when Natsuko is killed in a bus accident, along with her friend Yuko. The two widowers, Sachio and Yoichi deal with the incident in completely different fashion. Sachio tries to “seduce” the media once more, while Yoichi is utterly devastated. However, due to Yoichi’s efforts to become friends with him, the two men start socializing, and eventually Sachio agrees to act as a babysitter for Yoichi’s two kids, Shinpei and Akari. As he starts warming up to them, Sachio realizes the mistakes he has made in his life, particularly regarding his deceased wife. Miwa Nishikawa directs and pens (actually adapts her own book) a touching movie that starts as a drama, becomes a comedy for a while and then switches back to drama. Her unique sense of humor is one of the production’s best aspects. It comes in two forms, one subtle, through Sachio’s character, who looks hilarious as he tries to take care of the children without knowing a thing about raising them. The second is more direct and derives from Akari, an adorable little girl who is bound to make anyone who watches the film laugh, with her yelling and too intelligent for her age questions. The pace follows the general rule of Japanese indie as it moves slowly, although a bit faster than the majority of similar productions. The issue with the film lies with its duration, as I felt it could have ended a number of times, but it kept going, with no apparent reason, eventually surpassing 120 minutes. This tendency seems to be one of the biggest and most common flaws of Japanese cinema, as there is a plethora of films that would have been much better, if there were just a bit shorter (Kiyoshi Kurosawa, Hirokazu Koreeda and Naomi Kawase’s latest films are also examples of this tendency). The acting is on a very high level and actually one of the best aspects of the film. Masahiro Motoki is in good form as he presents both the dramatic and the comic aspects of his character with elaborateness. His transformation from a selfish adulterer to a caring “uncle” is impressive. Pistol Takehara is also very convincing as the almost illiterate Yoichi. However, the ones that steal the show are definitely the two children, Kenshin Fujita as Kenshin and Tamaki Shiratori as Akari. 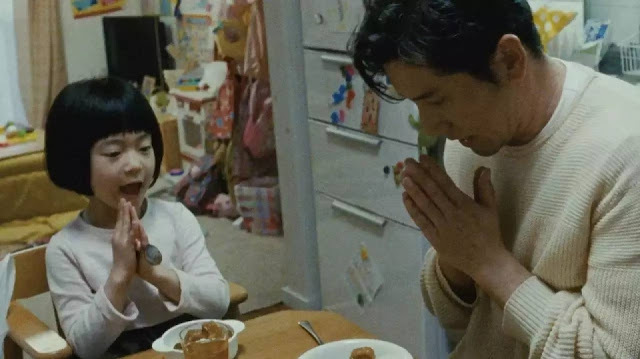 The latter is quite adorable through her many lines (considering her age) while the former gives a great performance, with his monologue against his father being one of the strongest moments of the picture. Eri Fukatsu also appears in the movie as Natsuki, but her role is very small. Ryuji Miyajima’s editing does a good job of keeping the pace, without doing anything extraordinary, in another “rule” of the Japanese indie. However, the film is highly realistic and Yutaka Yamazaki’s (Koreeda’s regular) cinematography definitely adds to that trait as it presents everyday life in Japan. Furthermore, the way he portrays the passing of time through the children’s growth is definitely elaborate. Michiaki Kato and Nakanishi Toshihiro’s music is definitely on the spot with its baroque-like style, particularly at the scenes where it emphasizes the comic element. “The Long Excuse” is quite entertaining, but could have been a masterpiece if it ended a bit earlier.